The first ultrasound images of wild whale sharks have been captured. Written by GCT volunteer Avani Gupta. There are many unanswered questions surrounding endangered whale sharks, including where and when do the sharks give birth, how deep do they dive and why? 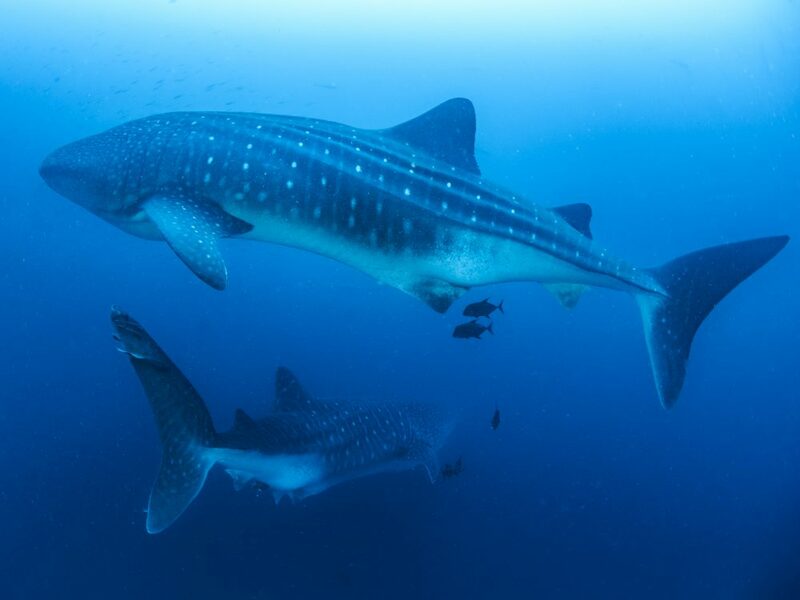 The Galapagos Whale Shark Project (GWSP) supported by Galapagos Conservation Trust, and in partnership with the Galapagos National Park, University of San Francisco de Quito, Marine Megafauna Foundation and the Okinawa Churashima Foundation, have made incredible progress on providing answers. On their most recent field trip, in autumn 2018, the team managed to carry out 21 ultrasounds on 16 wild female whale sharks and successfully get images! The team also attached new satellite tags to whale sharks to collect information on where the sharks visit and at what depths they reach. There have been very few sightings of baby whale sharks and it is thought they possess limited swimming abilities. Theories suggest that mothers either give birth in very deep waters where predation is unlikely or on marine platforms (e.g. the Galapagos platform) or seamounts. These are raised sections of the seafloor which would provide pregnant sharks with more shelter when giving birth. Given the majority of whale sharks visiting Darwin and Wolf islands, in the north of Galapagos, are mature females, there is a theory that they could be pregnant and giving birth somewhere nearby. The most exciting result for the team on their latest field trip, and a huge milestone in whale shark research, is the ultrasound images taken which show fully developed ovaries with developed follicles. This is not enough to confirm pregnancy but the images produced are the first in existence from a wild whale shark and support previous theories of pregnant whale sharks visiting Galapagos. Blood and skin samples were also taken to measure chemical levels such as hormones to confirm pregnancy. These are still being analysed by scientist, Dr Ryo Nozu, at Universidad San Francisco de Quito. The team had many challenges trying to get these ultrasounds. Whale shark skin is very thick and previous ultrasounds failed to penetrate further than the skin. The ultrasound device used in the most recent field trip is able to capture clear images to a depth of 30cm, which meant the team was able to see through whale shark skin in the middle area of the shark,where the skin is roughly 10cm thick. The area of skin that surrounds the uterus, towards the back of the shark, is much thicker and the ultrasound failed to take clear images. The shark’s skin thickness also contributed to difficulty when divers drew blood samples. The team are always working to develop technologies in order to maximise the amount of information that can be obtained from satellite tags and ultrasound imaging devices. As a consequence, the tagging instruments that were attached most recently had been improved to provide information for up to 1500 days, due to the tag’s longer battery life, and can record the shark’s depth at 1700m. 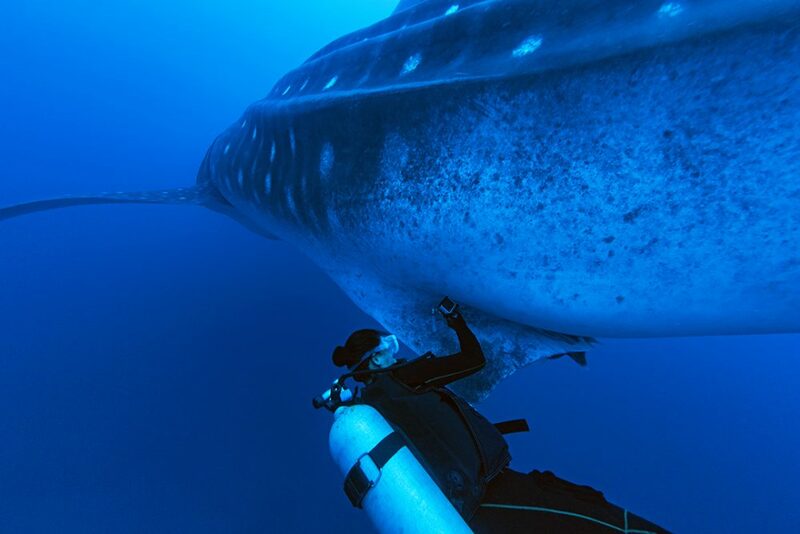 With this recent tweak, it was estimated that one of the whale sharks dived 1850m which is very close to the global record of the deepest dive at 1928m from a juvenile male whale shark. The tags in the recent expedition have been significantly more successful, giving a 100% reporting rate in comparison to the previous expedition that had an average 50% reporting rate. The advancement of research is only grazing the tip of the iceberg in terms of what further knowledge can be gained about whale sharks. 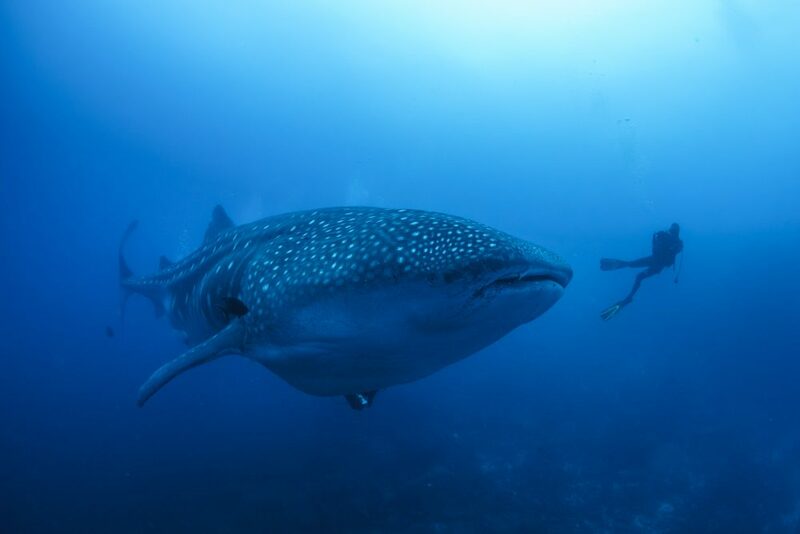 This is a leap in the right direction, but the GWSP will continue their research to improve our understanding of the life and behaviour of whale sharks. It also takes us one step closer to ensuring that these endangered gentle giants are conserved for generations to come. GCT have been supporting the GWSP for a number of years thanks to our donors. 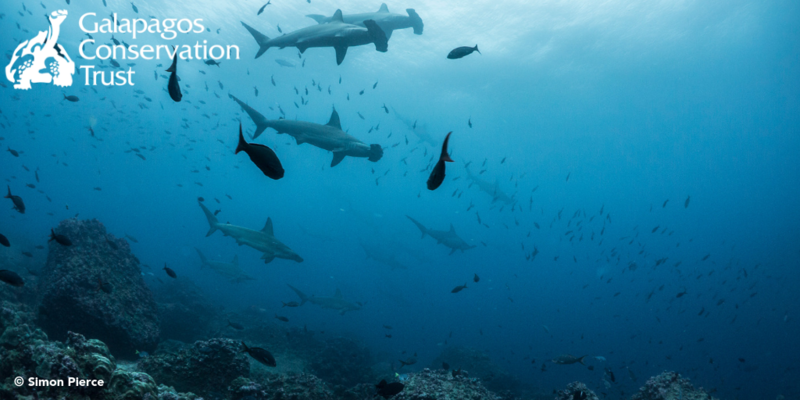 If you would like to support shark research in Galapagos, then please donate today! If you would like to find out more about the GWSP, you can do so on our webpage or by visiting their website. If you would like to find out more about how we are working to conserve endangered sharks in Galapagos, please head to our programme webpage. 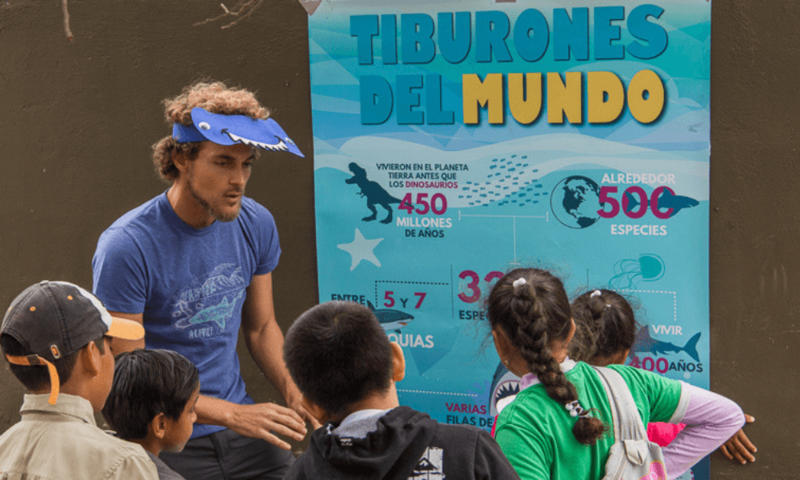 This research was carried out by the Galapagos Whale Shark Project, the Galapagos National Park Directorate, the Marine Megafauna Foundation, Universidad San Francisco de Quito and the Okinawa Churashima Foundation. It was supported by Galapagos Conservation Trust and Planeterra. 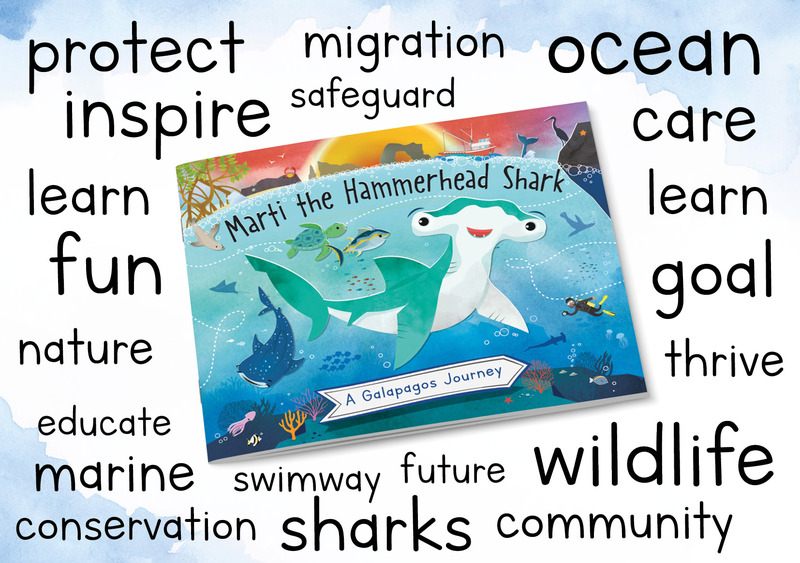 This entry was posted in News, Projects and tagged galapagos marine reserve, Research, Sharks, Whale Shark. Bookmark the permalink.